Crafted from the finest textured-leather, this classic style opens to a contrast leather lining and includes zipped and pouch pockets for keeping your essentials neatly organised. 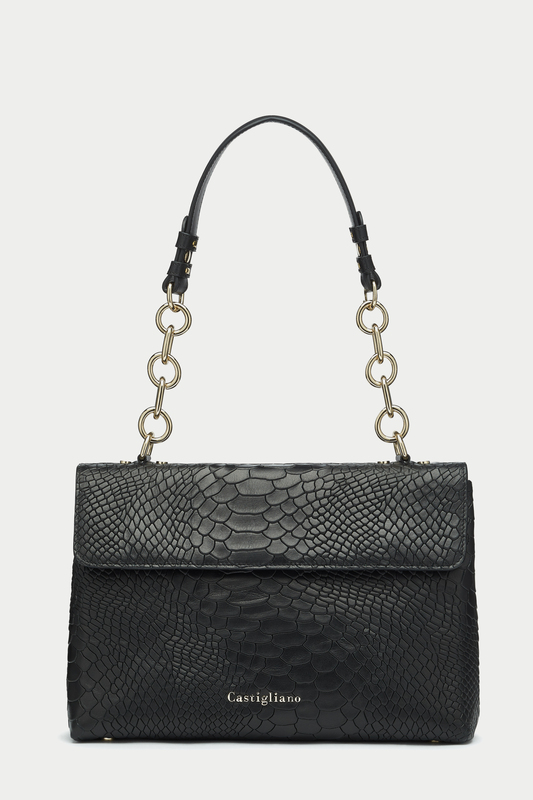 A smooth strip on the metal chain strap ensures it’s comfortable to carry. Back image shown in alternative colour and leather. Crafted from the finest textured-leather, this classic style opens to a contrast leather lining and includes zipped and pouch pockets for keeping your essentials neatly organised. 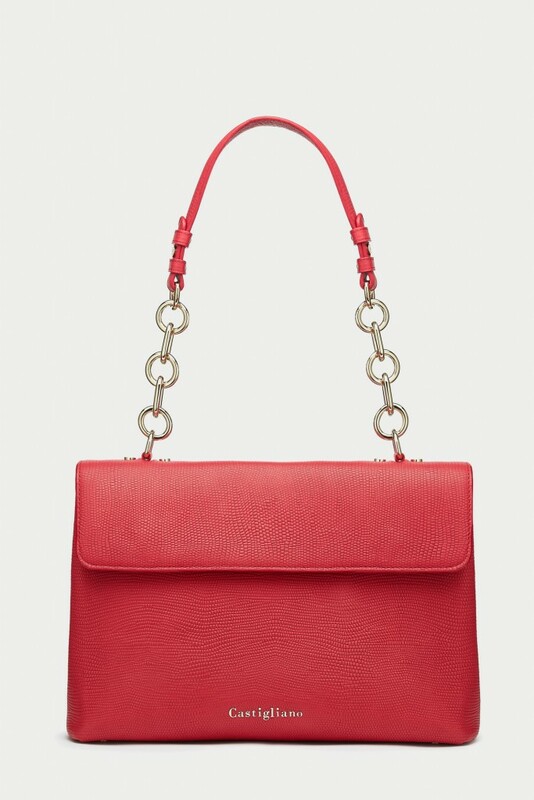 A smooth strip on the metal chain strap ensures it’s comfortable to carry. 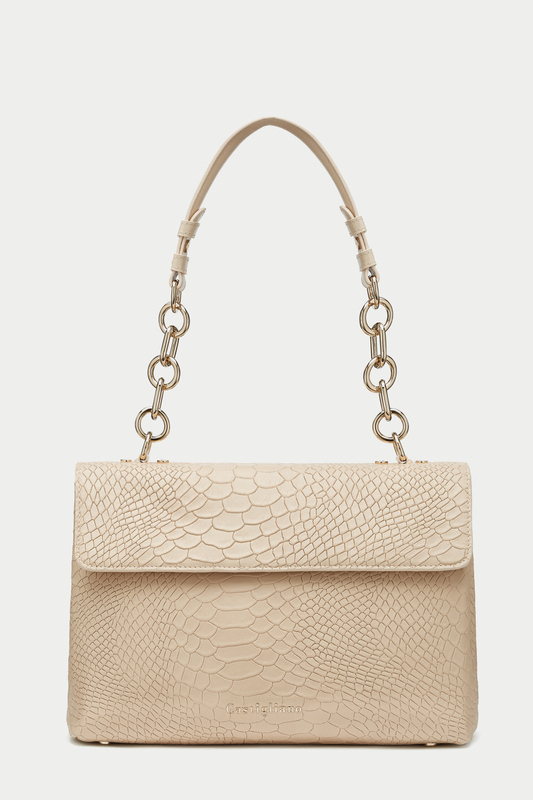 Crafted from the finest snake-skin embossed leather, this classic style opens to a leather lining and includes zipped and pouch pockets for keeping your essentials neatly organised. 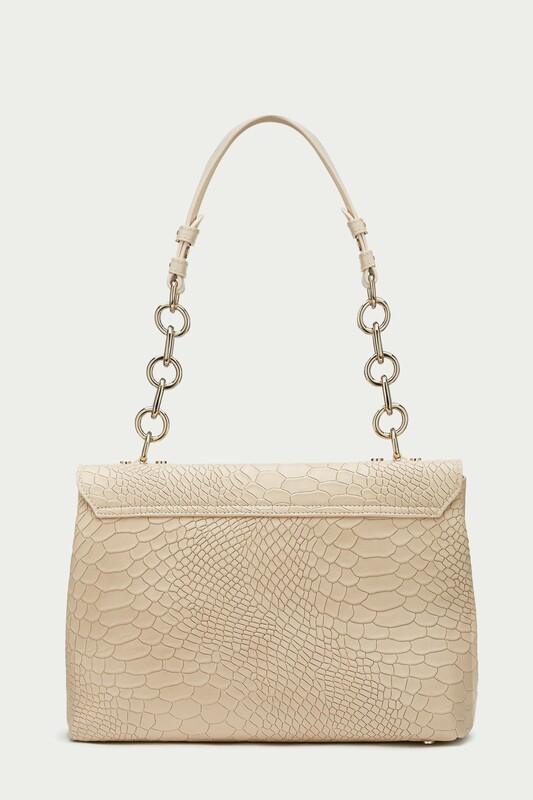 A smooth strip on the metal chain strap ensures it’s comfortable to carry. Back and interior image shown in alternative colour and leather. 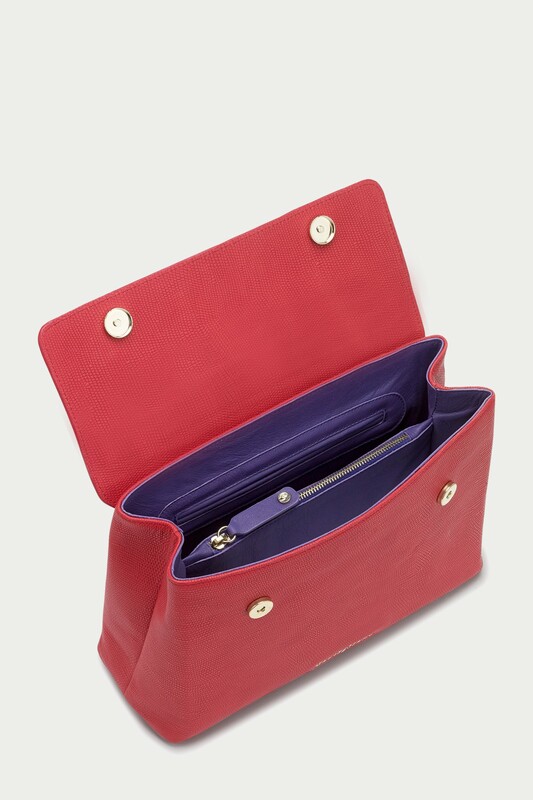 Crafted from the finest textured-leather, this classic style opens to a leather lining and includes zipped and pouch pockets for keeping your essentials neatly organised. 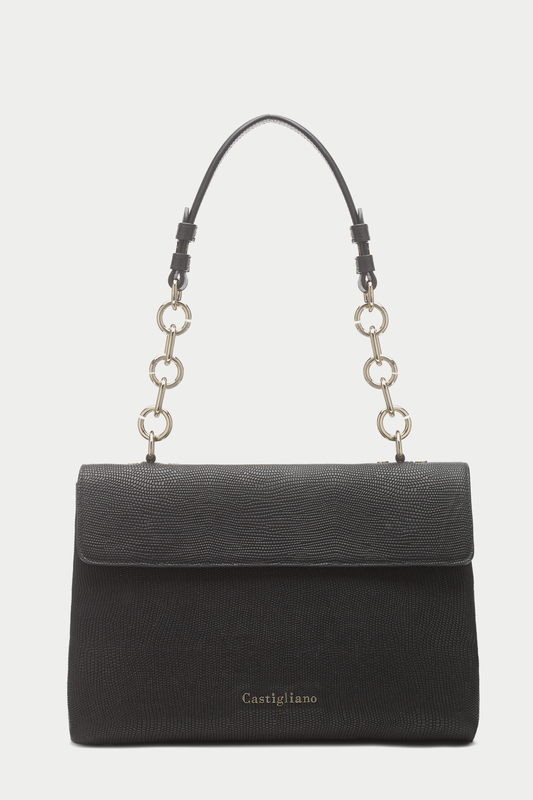 A smooth strip on the metal chain strap ensures it’s comfortable to carry. Back image shown in alternative colour and leather.